The short answer is: YES HE DID. There are actually numerous references in the Bible of Jesus showing Himself to be divine. If you would like to read one example for yourself right now, go to John 8. Please read the whole chapter to see and understand it in context. Anyone who claims that Jesus never claimed to be God has never read the Bible nor understood it’s message. Does Jesus have to say it in those exact words, “I am God?” Think about this. Would anyone really take seriously the words of a man who comes in the desert and say , “I am God.”? People would call him a lunatic. Now if you’re ready to take a more detailed look at Jesus’ claims to be God, let’s explore further. First of all, Did Jesus THINK He Is God? Never once did Jesus say, “This is what God says…” like all the prophets before Jesus. Notice I said these were TITLES. Some mistakenly imagine that “Son of God” is a biological description. That is wrong. “SON OF MAN” and “SON OF GOD” are titles for Jesus, describing His spiritual position. If we go down to the very basics, Son of Man means “man” and Son of God means “God”; meaning Jesus was fully man and fully God. In other words, He is God that had come in the form of a man. The gospel tells us that our Creator has become our Redeemer. Because this conviction is the central theme of Christianity, denying the deity of Jesus Christ places a dagger into the heart of the Christian message. Jesus acknowledged being the “Son of God.” Again, this title does not mean Jesus is God’s biological Son. The title “Son of God” refers to likeness, or having the same divine essence and characteristics. Jesus was asserting His deity and His equality with God. Question: But there were others who were referred to as sons of God. e.g. David, Adam, etc. Was David and Adam also God? Answer: No. Clearly, David never thought he was God, neither did Adam. SON means a spiritual relationship. As a believer and a follower of Jesus, I too am a son of God. That does not make me God. I know and understand that sonship is a position of special relationship with God, my Father. Jesus came to reveal to us what that SONSHIP really means in relation to the Father. Jesus called God, “Father” and taught His followers to do the same. If God is my heavenly Father, what does that make me? A son! This is not a physical or biological position but a spiritual position in terms of relationship with my God and Father. Question: So how is Jesus being the ‘Son of God’ different from someone else being a ‘son of God’? Answer: The original Greek word used to describe Jesus’ sonship is “μονογενῆ” (or monogenes) which means “unique” (or one and only; or the only one of it’s kind; a less accurate translation is ‘begotten’). Meaning, there is no other Son like Him. There are many “sons of God” but only one “Son of God”, i.e. Jesus. All other ‘sons’ are created. Jesus, being the Son of God means, God manifesting Himself in human form on earth and doing and speaking the things only God can do and speak. I’m a son of God but I don’t work miracles as Jesus the Son of God did, nor do I make other claims that Jesus made. When applied to Jesus, ‘Son of God’ and ‘Son of Man’ are divine titles. And Jesus was clearly aware of this. Question: But didn’t Jesus say that the Father is greater than Him? Answer: Jesus’ statement here does not imply inferiority. Let me give you an example. I share my father’s DNA and characteristics. If I say my father is greater than I, does that mean he is more of a human being than I am? Although we’re different, we’re both equal as human beings and as men. In nature and essence we’re equal but in position and rank, my father is greater than I. This is the meaning of the word “meizon” (greater) than is used in the original language. The Father is greater than the Son in position. In essence and in being, Jesus is co-equal with God. Question: I can understand Son of God possibly being a divine title but how is Son of Man a divine title? Answer: When Jesus referred to Himself as Son of Man, He had in mind a prophecy written by Daniel more than 500 years earlier. Daniel 7:13-14: “……Son of Man coming with the clouds of heaven. …….. He was given authority, honor, and sovereignty over all the nations of the world, so that people of every race and nation and language worship Him. His rule is eternal—it will never end. His kingdom will never be destroyed. Does this Son of Man sound like any ordinary man or prophet? It is made clear in these verses that the Son of Man was One who has all authority and power; He will come from heaven. He will rule eternally; everyone will worship Him. Seated with God means He was in a position that was equal with God! This is not any ordinary man or prophet. Son of Man, therefore, is a divine title. Has any prophet ever dared to claim such a position for himself? Where Did Jesus SAY He Is God? First of all, we need to understand what Jesus’ words meant to his Jewish listeners and see how they reacted to his claims. We have to remember that the Jewish people understood their scriptures very well. Perhaps you did not catch the significance of this saying. 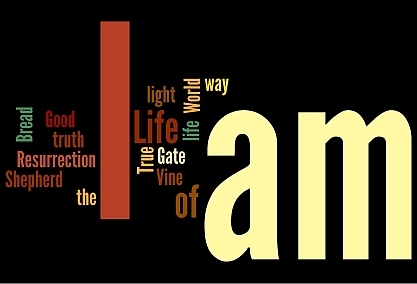 “I AM” is the very name of God! Revealed to Moses in the Torah, Exodus 3:14 and the Jews were well aware of this in their scriptures. Jesus had used the same sacred name, I AM, “ἐγὼ εἰμί” (ego eimi). The name, I AM means, God has always existed and will always exist ~ i.e. ever existing, ever living God. Right here,, we have Jesus claiming this holy and divine Name for Himself. He’s actually saying that He existed before Abraham; therefore claiming to be ever existing, ever living, and therefore eternal and divine! This is how it would have sounded like in Aramaic. Question: Isn’t this blasphemy for a “man” to claim to be God? Punishable by stoning? Answer: Well, that is exactly what the Jews decided when they heard Jesus saying this statement! Why? Because the Jews who heard Him knew exactly what He was saying and exactly WHO He was claiming to be! He was claiming to be God! That is why they were ready to stone Jesus! There’s the “I AM” again! Jesus was saying unless you believe that “I AM HE”, you will DIE in your sins! Are these the words of just another prophet? Can a mere prophet make such preposterous claims? “I am from above!” Jesus was saying He came from heaven. Aren’t all human beings, even prophets, born on earth? And listen to this: “You will die in your sins unless you believe who I AM!” You will die in your sins, meaning you will go to hell as sinners, UNLESS you believe who He claims to be! Who does He claim to be? We really have to find out if we do not want to die as sinners! This is a shocking thing to say, isn’t it? Did Adam or Abraham or Moses or David or any other prophet ever say such controversial things? In case you missed it, let’s look at this verse in the Aramaic Bible in Plain English to enhance our understanding. According to Jesus, if you want to escape hell, you need to know and believe who He really is! Do you? On another occasion, in John 10:30-38, we see this conversation taking place between Jesus and His Jewish listeners…..
Jesus: The Father and I are one. Jesus: I have done many good works. For which one are you going to stone me? Jews: We’re stoning you not for any good work, but for blasphemy! You, a mere man, claim to be God. He never changed His original statement but rather, listen to what He says next in this conversation…..
By claiming to be the Son of God, Jesus is claiming to be God. And the Jews clearly understood it as seen by their reaction. My question to you is: Has any prophet or man of God ever dared to say these things? Did Muhammad ever say, “I and Allah are one. Allah is in me and I am in Allah”. What else can such statements by Jesus that “I and the Father are one” and “The Father is in Me and I am in the Father” mean? Except that He was clearly claiming Himself to be equal with God! The Jews clearly understood it. This would be blasphemy worthy of being stoned to death! 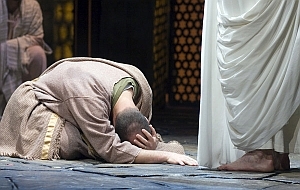 Another time, Philip, one of Jesus’ disciples, asks Jesus to let them see the Father. Tell me please. Did Abraham ever say, “Anyone who has seen me has seen God”? Did Moses? David? Or any other prophet? What about in the Quran? Would Muhammad ever dare to say, “Anyone who has seen me has seen Allah”. Did Jesus’ Closest Followers THINK & SAY He Was God? If Jesus said He was God, obviously this message would have caught the attention of His disciples whom He spent three years with. Skeptics claim that the deity of Jesus was an invention by Paul, years after the death and resurrection of Jesus and that even Jesus’ closest disciples never claimed that their Master Jesus, was God. Once again, these are claims by people who have never read or understood the Bible. Let’s see what Peter, John and others said or wrote about Jesus. I have purposely not included any statements written by Paul. (In case you have trouble with chronology and history, 700 BC is many centuries BEFORE Paul or any of the disciples were even born; Isaiah had prophesied that Jesus would be Mighty God .) So the disciples and Paul were not teaching or preaching anything that contradicted scriptures. 1. We all know that only God is to be worshipped. One of the worst sins for a Jew is to worship something/someone besides God. Ever worse for someone who takes worship for themselves. However, many times in the gospels, we see that Jesus received worship. If Jesus is not God, why would He accept worship that is meant for God alone? Refer to Matthew 14:33; 28:9, 17; Luke 24:52; John 9:38.; Hebrews 1:6. Not once did Jesus rebuke anyone or stopped them from worshipping Him. If Jesus was just a good teacher, shouldn’t He have taught them to do what is right? If Jesus was just a prophet, why didn’t He command them to direct their worship only to God and not to Him? 2. We all know that only God can forgive sins. No prophet in all of history has ever claimed the right or authority of God to forgive sins. And we have already seen this other verse earlier: Jesus said, “Unless you believe that I Am who I claim to be, you will die in your sins.” John 8:24; meaning that if you believe who Jesus really is you will not die in your sins. In John 5:21-23: Jesus said that He has absolute authority to judge. In Luke 10: Jesus sends His disciples to preach the gospel and to heal the sick. And they did so in the Name of Jesus. In Mark 9:38: When the disciples told Jesus that a stranger was casting out demons using the Name of Jesus, He answered them and said, “Don’t stop him.” if the man was doing something wrong, wouldn’t Jesus have corrected him? Jesus was claiming He shared the same glory with the Father! Even before the world was created! How could Jesus have existed eternally with the Father unless He and his Father shared the same divine essence? Jesus existed as the Word of God before being incarnated as a man on the earth He created. 6. We all know that we should only pray to God. John 14:14 Jesus said we can ask Him in prayer, in His Name. Other verses: Disciples prayed to Jesus (Acts 1:24-25); Jews and Gentiles praying to Jesus (Rom. 10:12-13); Paul prays to Jesus (2 Cor. 12:8-10) ; 2 Thess. 2:16-17; etc. 7. We all know that we should only have faith in God. Before Jesus left the earth and ascended to heaven, He told his apostles to “baptize new disciples all over the world, in the NAME of the Father, the Son, and the Holy Spirit” (Matt. 28:19). By doing this, Jesus was putting both the Holy Spirit and Himself on the same level as the Father, signifying that they are equal. Did you also notice Jesus said NAME not NAMES, signifying oneness between Father, Son & Holy Spirit. 8. We all know that God alone is eternal, the Beginning and End. You tell me who this PERSON is? Referred to as “the Alpha and Omega,” “the beginning and end”, “the Lord God,” “the Almighty One”, “the living one”, “the who died but alive forever and ever”? John prophecies about the second coming of this PERSON in Revelation 1:7 ~ “Look! He comes with the clouds of heaven. And everyone will see Him – even those who pierced Him. And all the nations of the world will mourn. You tell me who was pierced on the cross? You tell me who is this JUDGE? It is the Lord Jesus Christ who reigns from the great white throne. As shown earlier, Jesus had already told his disciples that He would be the final judge of the whole world. In all these verse, Jesus was claiming the name of God, I AM, for Himself. Would anyone else dare to this? Jesus also used “I AM” for himself on other occasions. Want More? Consider These Scriptures. When you discover the answer to this, it will change your life. I guarantee you that! Still have questions about Jesus?